Waveguides can be defined along a parametric curve where the position (x, y) of the spine of the curve is a function of parameter t: x(t), y(t). 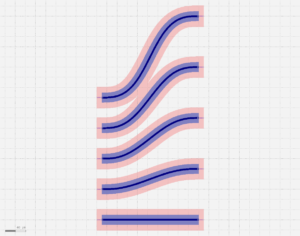 The local width w(t) of the curve w is measured perpendicular to the spine, with the spine in the center. Note that the pcurve smoothly changes the radius, however, this by itself is not a condition for adiabaticity. The layout designer has to make sure that the change is gentle enough for the waveguide under consideration. The above example prints “minimum radius” warnings. The minimum radius is a property of the xsection used. It can be changed as indicated in the following example. When running the example the warnings adapt to the new setting(s). 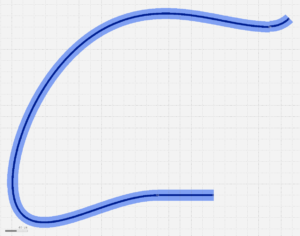 pcurve takes into account the curvature at the start and end of the curve via parameters radius1 and radius2. 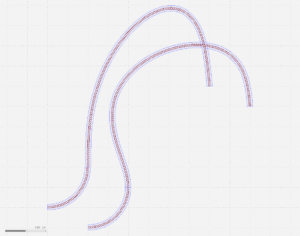 By default pcurve assumes no curvature, i.e. 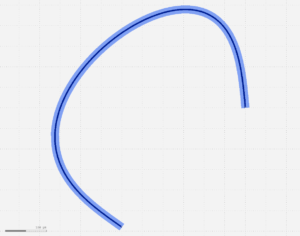 infinite radius (a straight guide), which is expressed in pcurve by radius = 0. 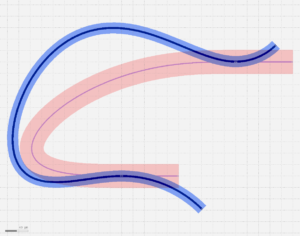 The next example shows how to connect pcurve with a continuous curvature to other guides. The straight-to-bend offset is automatically applied to the pcurve ends. It is possible to overrule the offset values by the offset1 and offset2 parameters for the start and end offset, respectively. 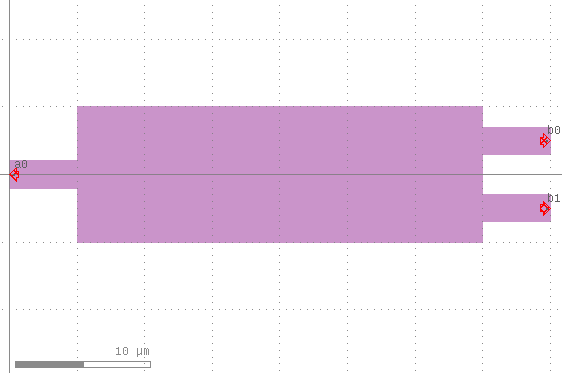 In order to use pcurves in your custom interconnects see the next example. 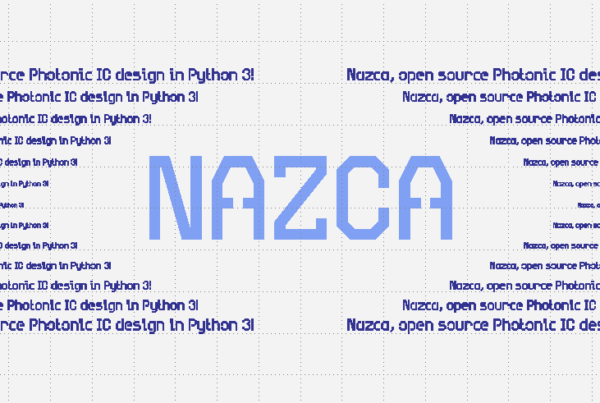 For completeness the example also includes the creation of a new xsection from scratch. Use demofab_klayout_colors.lyp when viewing the gds in KLayout. 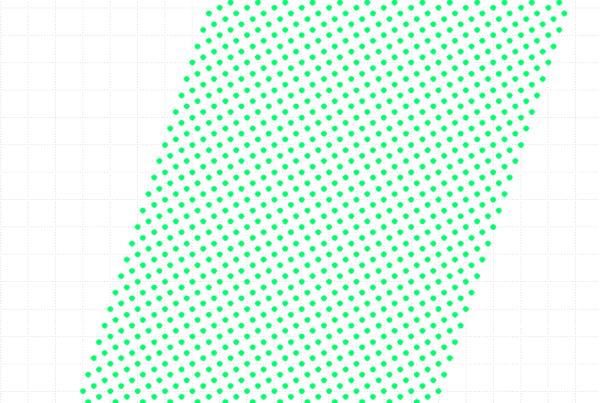 In this example we show how to create a photonic crystal using GDS array.